Innovative Mold of Washington, Mich., excels in producing complex mold making applications such as two-shot rotational molds. Most of the company’s projects are built for the automotive industry’s tier-one and tier-two original equipment manufacturers (OEMs), but the company has also expanded its reach into the consumer goods and medical industries. 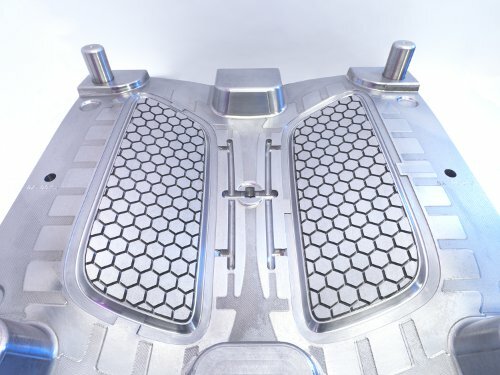 Innovative Mold was having problems with parting-line inaccuracies, which were causing extensive labor and finishing times in the company’s complex molds. It sought a solution that would help the company improve part quality and compete better on price. After obtaining the SNC64 and S56, Innovative Mold and its customers were so impressed by the quality of parts that the company purchased the other three Makino machines in order to keep up with the increased business for its complex mold making operations. With its new high-performance machines, Innovative Mold has virtually eliminated bench work. Molds come out of the machine with finished part quality. In fact, spotting time has been reduced by 80 percent, improving labor costs and enabling the company to deliver jobs more quickly. With these capabilities, the company can also take on more orders with tighter deadlines. The machines have virtually eliminated all EDM processes. On the company’s remaining EDM machine—the EDNC85—accuracy is delivered in very deep ribs and in tight corner radii and in other features that cannot be milled. On one particular part, the V-Series machines have saved 100 hours of processing time. Spotting time that used to take three days for that part is virtually eliminated. The company can now offer prices that are competitive to its foreign counterparts, and it beats that competition on quality and accuracy every time. As a result, Innovative Mold has begun to expand its complex mold making capabilities into other industries.